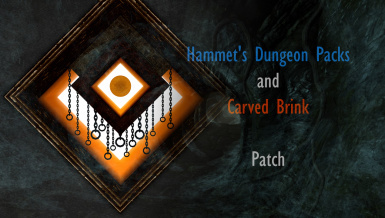 A quick but functional patch that fixes a small conflict between Hammet's Dungeon Packs and the newly released Carved Brink. Solved the slight Navmesh conflict afflicting the two mods. AND UPLOAD IT TO THE NEXUS AS LONG AS PROPER CREDIT IS GIVEN. 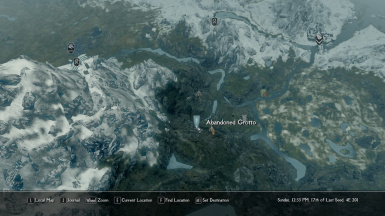 THE PORT ON THE MOD'S DESCRIPTION. ...duh. I mean, you're probably downloading this patch for a very specific reason. A small patch I created for myself after giving a quick look at Carved Brink through TES5Edit, and noticing a relatively small Navmesh conflict between the mod and Hammet's Dungeon Packs. The issue of the conflict was that Carved Brink was somewhat preventing NPCs from properly using Silver Yol's entrance, one of the new locations added by Hammet's Dungeon Packs. Extract the file srg_hammet+carvedbrink_patch.esp (or srg_hammet+carvedbrink_patchforesp.esp if you're using the esp version of Hammet's Dungeon Packs) in your Data folder. Make sure that the patch is loaded anywhere after both mods, while Carved Brink should be loaded after Hammet's Dungeon Packs. I know this might be a little obvious at first, but I feel the need to clarify it just in case somebody decides to ESMify Carved Brink. Not sure what would happen if you switched the mods around. Hammet's Dungeon Packs belongs to venjhammet. Carved Brink belongs to Haem Projects. The patch was created by Sergiroth. FEEL FREE TO REPORT ANY BUGS OR ISSUES YOU FOUND WITH THIS MOD.